OUR MISSIONAL LEADERSHIP TRAINING IS A GREAT OPPORTUNITY FOR CHURCHES WHO WOULD LIKE TO DEVELOP AND INVEST IN THEIR LEADERS AND CONGREGATION. THE PROGRAM CONSISTS OF ONE OFF TRAININGS AND DEVELOPMENT DAYS, WHERE OUR STAFF WILL COME IN AND DEVELOP YOUR LEADERS AND/OR CONGREGATION ON TRAINING SESSIONS TAILORED TOWARDS BECOMING A MISSIONAL CHURCH AND CHURCH GROWTH STRATEGIES. SOME OF OUR TOPICS INCLUDE (BUT NOT LIMITED TO); EFFECTIVE EVANGELISM, ALTAR COUNSELLORS TRAINING, LEADERSHIP DEVELOPMENT, STRATEGIC PLANNING, GUEST SERVICES AND MORE! PTR’S TRAINING SESSIONS ARE DESIGNED AS 1-3 HOUR TRAINING SEGMENTS, THAT ARE FOCUSSED ON A PARTICULAR AREA OF EXPERTISE. 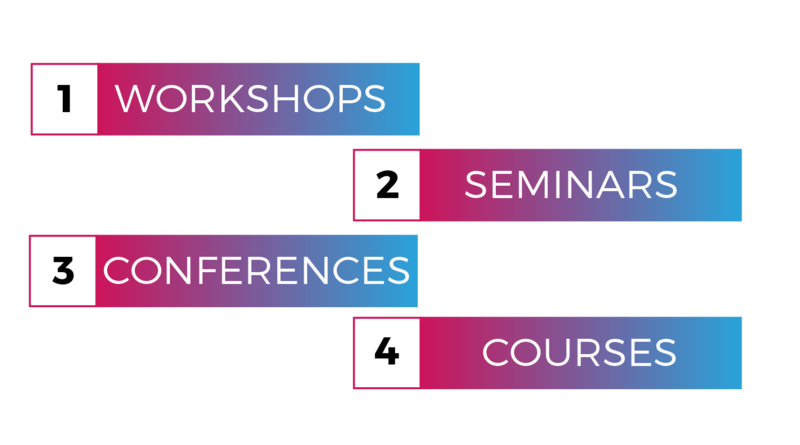 IT IS DESIGNED TO EQUIP YOUR LEADERSHIP TEAM OR A MINISTRY TEAM IN A SPECIFIC AREA..
PTR’S SEMINARS ARE DESIGNED TO BE A HALF OR FULL DAY TRAINING WITH KEY LEADERSHIP IN YOUR CHURCH, EQUIPPING AND EMPOWERING THEM IN GREATER DEPTH THAN OUR TRAINING SESSIONS. THE SEMINARS WILL INCLUDE TEAM EMPOWERING ACTIVITIES, AND PRACTICAL TRAINING (EX. ROLE PLAY) THAT WILL ENHANCE THE LEARNING EXPERIENCE AND CONTENT. OUR CONFERENCES ARE FULL WEEKEND EVENTS, OPEN TO THE ENTIRE CHURCH AND CAN BE DONE IN PARTNERSHIP WITH MULTIPLE CHURCHES IN ONE WEEKEND. WE START OFF THE WEEKEND WITH AN EMPOWERMENT FRIDAY EVENING EVENT, THAT WILL PREPARE AND READY PEOPLE TO BE EXCITED ABOUT WHAT GOD IS GOING TO DO. THE SATURDAY SESSIONS ARE PRACTICAL TRAINING SESSIONS, THAT CONSISTS OF TRAINING, BREAKOUT SESSIONS AND EXERCISES. SUNDAY MORNING OUR CHURCH ASSOCIATE WILL WRAP UP THE WEEKEND WITH A TRAINING TEACHING SESSION AT YOUR SUNDAY SERVICE. COURSE TRAININGS WHICH ARE WEEKLY SESSIONS THAT CONSISTS OF 6-8 WEEKS OF CLASSROOM TRAINING WITH A CERTIFICATE OF COMPLETION AT THE END OF THE COURSE.